After the recent Sew Dolly Clackett dress, it's time for the 3rd instalment of the SBA tutorials series. 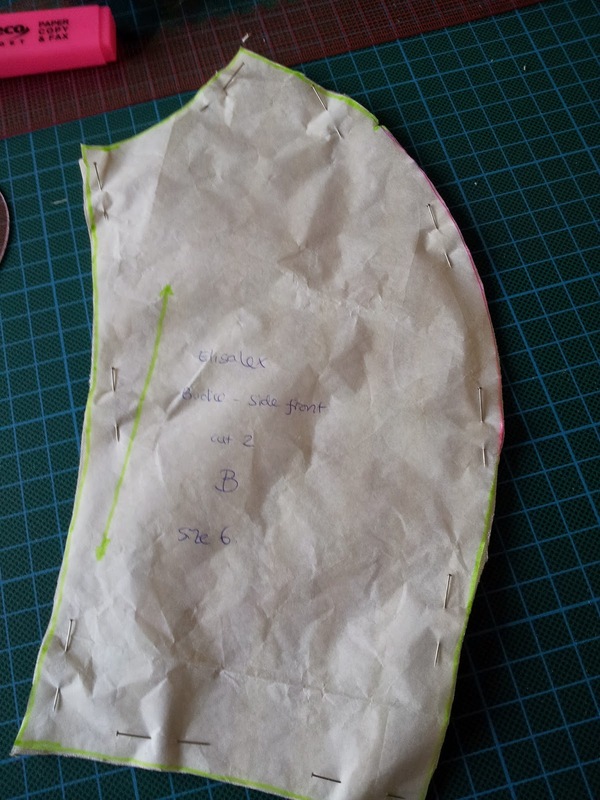 This part will deal with a SBA on a princess seamed top or dress. This is probably the easiest adjustment compared to Part 1 and Part 2, so enjoy the simplicity! First thing first, I know that some find princess seams a pain to sew. 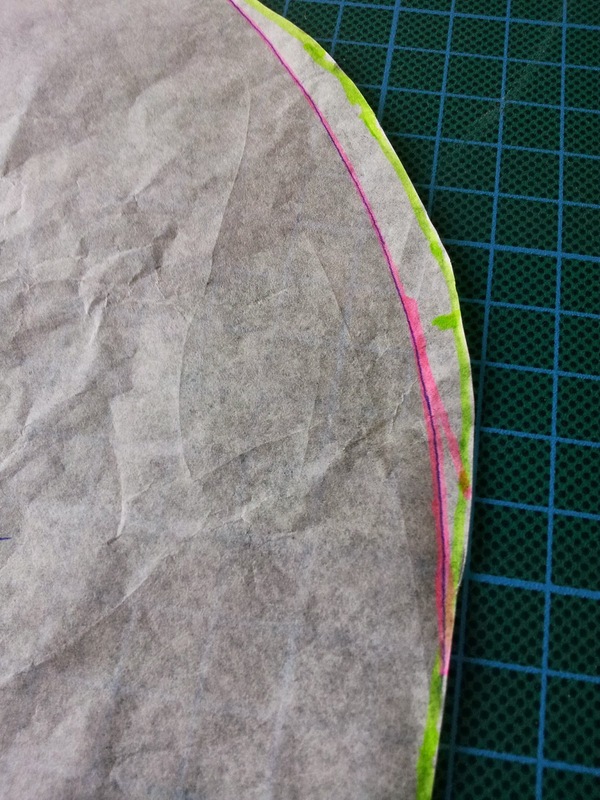 Having sewn quite a lot of princess seams (my wedding dress had such construction), I have found that the a smooth finish can be achieved by following this tutorial. Now this little tip is out of the way, let's get started with the tutorial. I say that princess seams are super easy to adjust, because all you need to do is to "shave off" some of the excess curve. Normally I take the piece with the outside curve, i.e. the side front (I'm using the By Hand London Elisalex pattern here), and simply smooth out the curve around the bust area. I use the French curve for this, but this can also be achieved free hand. 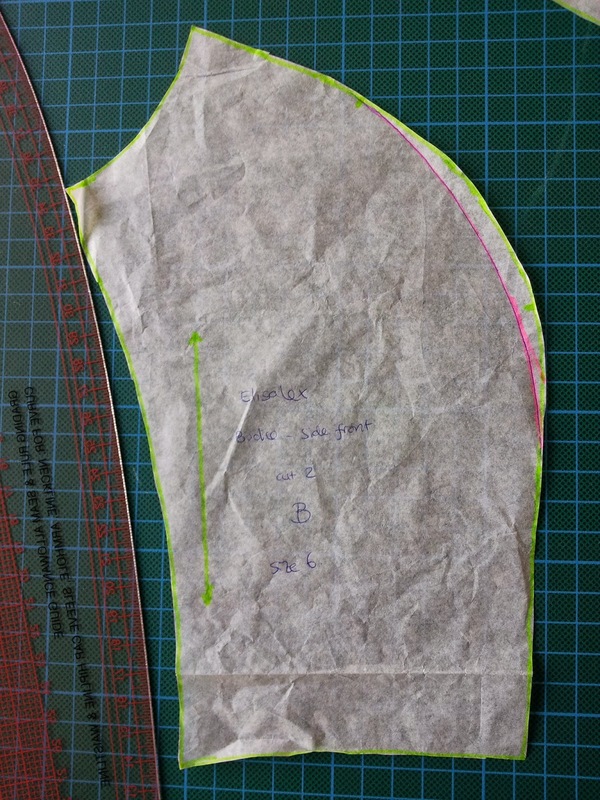 The next step is to cut off the excess following the pink line, and then you are good to go! Note that I often find that the pattern piece with the outside curve (side front in this case) is prone to stretching, and end up being longer than the inside curve piece (centre front in this case), so "smoothing out" the curve actually helps with this problem. As always, any questions please ask, and I'll do my best to answer.